Rajasthan, in India literally draws its name from the fact that it was once home to the Kings of the country. The royal legacy that the country saw in the Rajput and Mughal eras, led to the development of number of World Heritage Sites in Rajasthan. The numbers of historical monuments of the Royal Rajput and Mughal era are still present in the city. 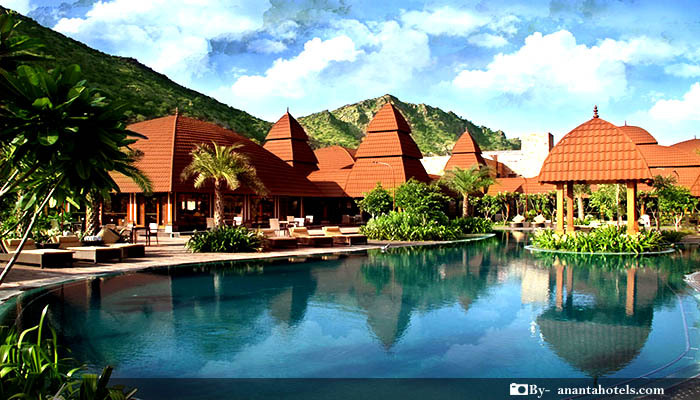 These historical monuments speak of the splendor and the grandeur of the ancient times. The ambience and aura of these sites carry a touch of the Royalty of the Mughal and Rajput rules of the country, which is almost impossible to be repeated today. As a result, the unmatched beauty and grandeur of these sites have made UNESCO to declare and pamper some of them as World Heritage Sites in Rajasthan. The Chittorgarh Fort is being one of the prime World Heritage Sites in Rajasthan is spread over an area of 280 Hectares, on a hill 180 high. It is said that the fort was built by the Mauryans in the 7th Century AD. The Chittorgarh Fort also boasts of having 84 water reservoirs within its campus in the past, which could hold enough water to meet the needs of 50,000 soldiers of the kingdom for 4 consecutive years. Chittorgarh Fort consists of 7 gates so high that enemies could not see or attack inside the fort, by even standing on an elephant or a camel. The monumental ruins of this place have inspired the tourists and the writers from numerous countries. The largest fort of India also invites and welcomes you to visit and explore its beauty and royalty. The Kumbhalgarh Fort, is a Mewar Fortress in the Rajsamand district of Rajasthan. 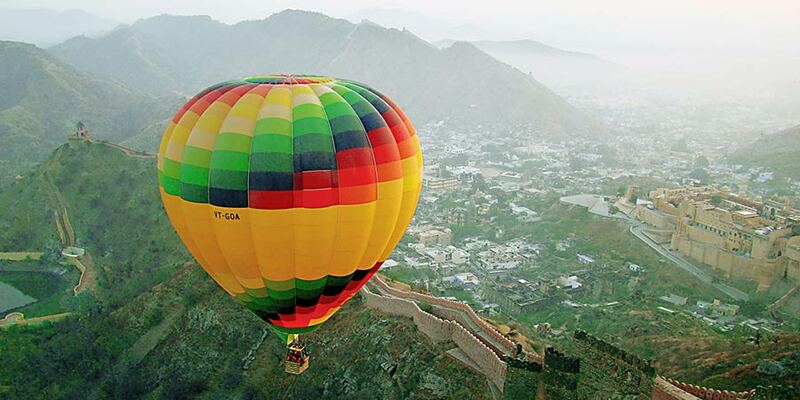 Built on a 1100 Meter high hill top that looks over the Aravali range of hills, this majestic fort was built in 15th century by Rana Kumbha of the Rajput dynasty and expanded through the 19th century. According to popular folklore, it is believed that Maharana Kumbha used to burn massive lamps, consuming fifty kilograms of ghee and a hundred kilograms of cotton every night, to provide light for the farmers who worked during the nights in the valley. Its wall is the second largest wall in Asia. This World Heritage Sites in Rajasthan is located near the town of Sawai Madhopur in Rajasthan. The Ranthambore Fort has been a witness to the glory of the Chauhan dynasty. The fort lies within the Ranthambore National Park, which used to serve as a hunting ground for the Maharajahs of Jaipur before Indian independence. Broadly, the Ranthambore fort, having an area of nearly 4 square Kms is virtually divided in two parts. The western part of the fort having many temples, Stambhas and other ancient monuments is generally full of visitors, whereas the eastern part of the fort is generally considered as a wild area where you can easily spot a number of birds, Langurs, the odd small cat, leopards and even the very rare and elusive Fishing cat. The Gargoan Fort’s is a fascinating place and its uniqueness lies in the fact that is surrounded by water from 3 sides and a by a deep moat on the fourth. The Gargoan Fort lies at a distance of 12 Kms from Jhalawar in Rajasthan. Inside the fort there exists a temple of lord Shiva, Ganesha and divine Durga, whereas just outside the fort there is mosque of Sufi saint Mittheshah where a grand fair is organized every year, on the Eve of Moharram. The Gagron Fort has played witness to the unmatched gallantry of Khnchi Emperors and soldiers and supreme sacrifices of JAUHAR by the Rajput women. Suspended on a low crest at the convergence of three rivers namely, Ahu, Sindh and Kali rivers, this marvelous creature is both water-protected as well as jungle-protected, with the forests also surrounding it, followed by the Mukundarrah range of hills is certainly is one of the World Heritage Sites in Rajasthan. The term Amber or Amer is derived from Amba, the Mother Goddess. 11 Kms away from Jaipur, located in the Amer town of Rajasthan, the Amer Fort was built by the Raja Man Singh-I and stands spendidly, overlooking the Maota Lake. The Amer Fort is known for its Hindu style of art works with its large ramps, cobbed paths and a sequence of multiple gates. 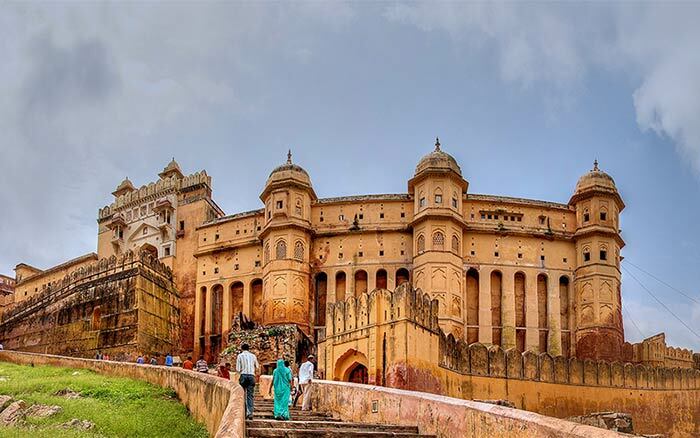 The complex of the fort is built with red sandstone and marble, which consists of the Diwan-e-Aam or the "Hall of Public Audience", the Diwan-e-Khas or the "Hall of Private Audience", the Sheesh Mahal (mirror palace) or Jai Mandir, and the Sukh Niwas. On an average 4000-5000 visitors are reported everyday as this wonderful fort here. This World Heritage Site in Rajasthan stands on the Trikuta Hill in Jaisalmer, amidst the golden stretches of the great Thar Desert. The Fort camouflages in the yellow desert as its massive yellow sandstone walls shine in a lion color during the day fade to honey-gold color as the sun sets. This is why, the fort is also known as Sonar-Quila or Golden Fort. With as many as five to six hundred thousand tourists visiting it annually, the Jaisalmer Fort is one of Rajasthan’s most popular tourist destinations. The Keoladeo National park consists of grasslands, wetlands, woodlands any many other diverse habitats which are home to more than 300 species of birds and floras each, also home to around 50 species of fishes, 13 species of snakes, 7 species of turtles and many more wild animals. The Keoladeo National Park is a man made and managed wetland area and amongst the best bird areas of the world. The park was made around 250 years ago, after the name of the Shiva Temple-Keoladeo, which still exists within its boundaries. Due to its presence in-between the migratory flyway of birds and abundance of water, numerous bird species arrived here in winters and hence it was used as a hunting ground by the Rajput Maharajas until 1972. The park was designated as a bird sanctuary in 1972, followed by becoming a National Park in 1982 and then one of the UNESCO’s World Heritage sites in Rajasthan, ultimately in 1985. By virtue of it being one of the Bird Paradises of Asia, more than 100,000 visitors come to the Keoladeo National Park every year. The Jantar Mantar in Jaipur was built by the Rajput King named Sawai Jai Singh and is a collection of the architectural astronomical instruments. The Jantar Mantar has been inscribed on the World Heritage List as "an expression of the astronomical skills and cosmological concepts of the court of a scholarly prince at the end of the Mughal period". The observatory consists of fourteen major geometric devices (made of local stone and marbles) for scientific purposes such as tracking stars’ location as the earth orbits around the sun, measuring time, predicting eclipses, ascertaining the declinations of planets, and determining the celestial altitudes and related ephemerides. These instruments generally are huge structures. Their size was argued as an effort to increase their accuracy. Even till the date, this World Heritage Site in Rajasthan is used by astrologers for various astronomical purposes.